The SS1 series features a one piece polycarbonate lens and a stylish wrap-around design that offers the user a wide area of protection. 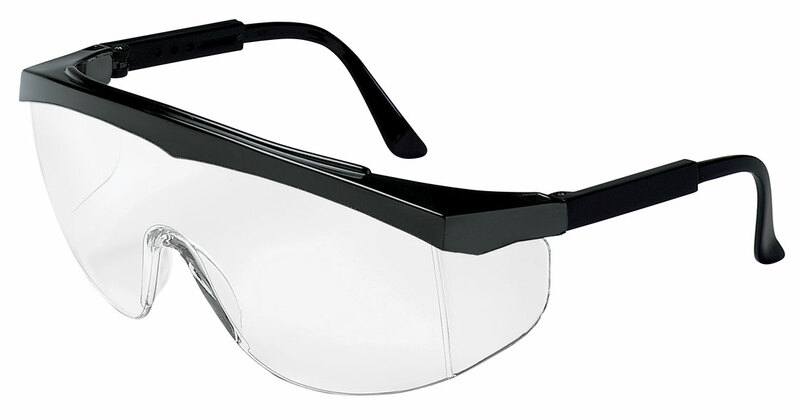 Integral side shields offer protection from particles entering the eyewear from the sides. The SS1 provides an exceptional wide angle of unrestricted vision allowing you to safely assess your environment. The molded-in nose bridge comfortably fits a wide variety of faces. It features a stylish wrap-around design and one piece polycarbonate lens with integral sideshields that filters out 99.9 percent of UV radiation. The lightweight frame provides added comfort and balance.